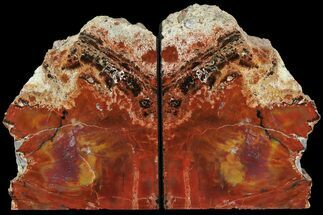 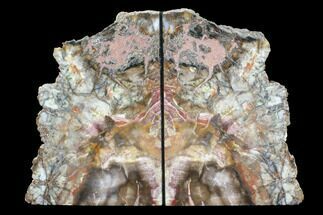 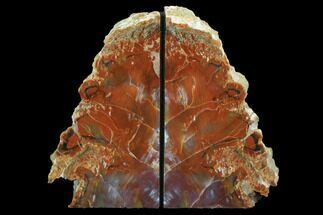 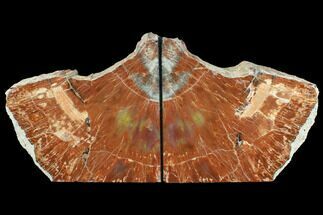 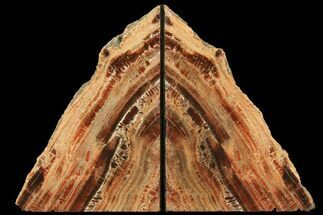 This is a massive pair of large bookends made from Late Triassic aged, Arizona Petrified wood. 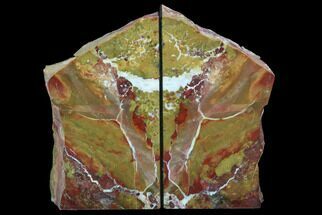 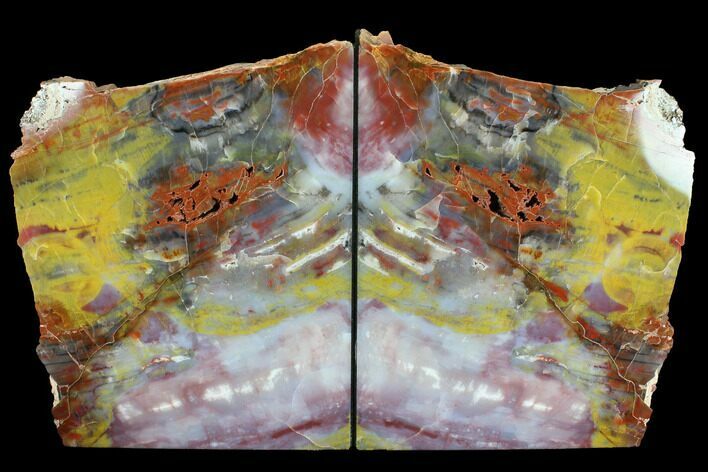 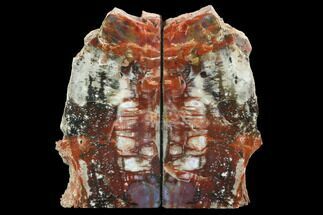 The bookends have been polished on the outer face and have rich red, purple and yellow colorations. 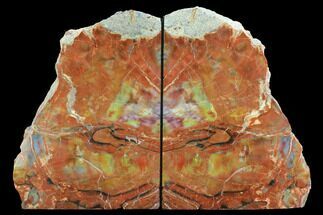 Exceptional polishing work on this pair. 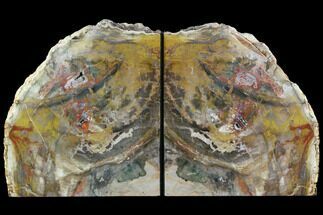 Each bookend slightly varies in size, with one measuring 10.6" tall, 8.7" wide and 1.75" thick, while the other is 10.3" tall, 8.3" wide and 1.75" thick.